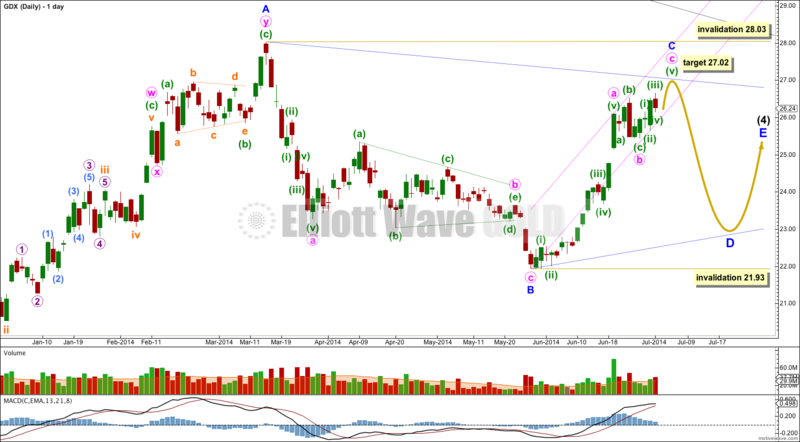 Last Elliott wave analysis expected to see upwards movement for a C wave within the triangle. Price has moved higher as expected. The clearest piece of movement is the downwards movement from the high. This looks most like a first, second and third wave. This may be the start of a larger correction. 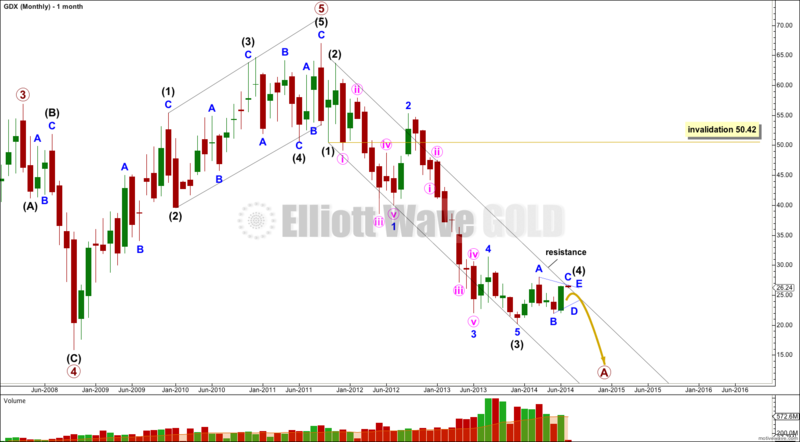 Intermediate wave (3) is $1.06 longer than 2.618 the length of intermediate wave (1). Within intermediate wave (3) there are no Fibonacci ratios between minor waves 1, 3 and 5. Ratios within minor wave 1 of intermediate wave (3) are: minute wave iii has no Fibonacci ratio to minute wave i, and minute wave v is $2.19 longer than 0.618 the length of minute wave i. 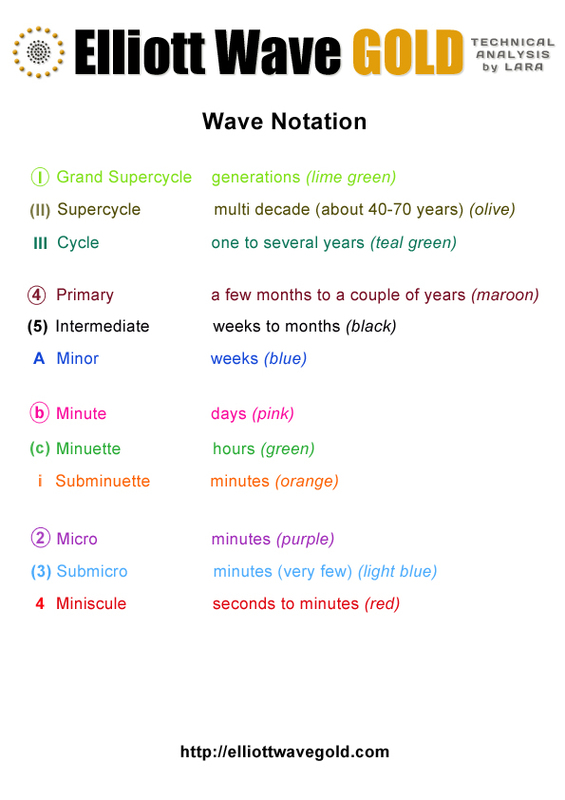 Ratios within minor wave 3 of intermediate wave (3) are: minute wave iii has no Fibonacci ratio to minute wave i, and minute wave v is $0.63 longer than 0.382 the length of minute wave iii. Draw a parallel channel about this downwards movement. Draw the first trend line from the lows of intermediate waves (1) to (3), then place a parallel copy upon the high of intermediate wave (2). I would expect intermediate wave (4) to find resistance at the upper edge of the channel, and it may end there. Intermediate wave (4) should last one to a few months. Minor wave C is still incomplete. At 27.02 minute wave c would reach 0.382 the length of minute wave a. Minor wave C may not move beyond the end of minor wave A above 28.03 for a contracting or barrier triangle. This invalidation point is black and white. Now that minute wave b is over I have drawn a parallel channel about this upwards zigzag of minor wave C using Elliott’s technique for a correction: draw the first trend line from the beginning of minute wave a to the end of minute wave b, then place a parallel copy on the end of minute wave a. I will expect minute wave c to end mid way within this channel. When the pink channel is breached by downwards movement that shall be an indication that minor wave C is over and minor wave D downwards has begun. Minor wave D may not move beyond the end of minor wave B below 21.93 for a contracting triangle. For a barrier triangle minor wave D may end about the same level as minor wave B, as long as the B-D trend line remains essentially flat. In practice this means minor wave D may move very slightly below 21.93 as this invalidation point is not black and white. Minor wave E would most likely fall short of the A-C trend line. The whole triangle for intermediate wave (4) may find resistance, and may end, at the upper edge of the black channel which is here copied over from the monthly chart. Thank you for the GDX updates. I only with I could subscribe to it on a daily basis. 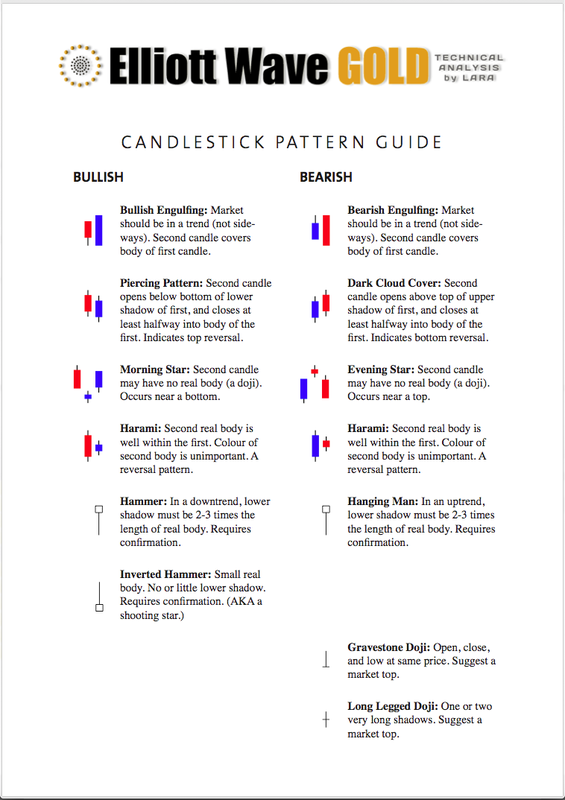 Lara, the more frequent updates for GDX that you have provided recently are really helpful, especially for those of us that trade the miners and the more risky 3x leveraged options. Thanks for the extra effort!